Paisley & Polka Dot Threads: Weekend Wanderings... A Leibster Award and More About Me! Weekend Wanderings... A Leibster Award and More About Me! 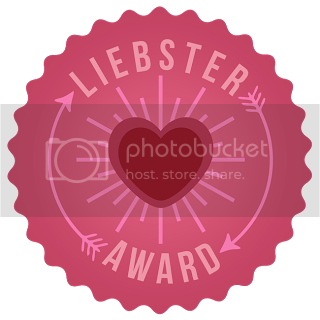 This week I received a lovely message from Mandy at Mandy Made letting me know she'd nominated me for a Leibster Award! Just like Mandy, I had no idea what it was about, but in short - it's an award to recognise the effort of bloggers with less than 200 followers. It's so nice to get such support and feedback from people - so thank you Mandy! 1. I met my husband (commonly referred to as DK) on rsvp.com. Yes, that's right. Why open with that? Cause it makes people laugh or smile or whatever. Gets you thinking right??? I felt like I had gone out with every loser and user and decided I wanted to meet someone else. So I tried something else. 2. I have two children, Emma and Harry. Lights of my life. 3. 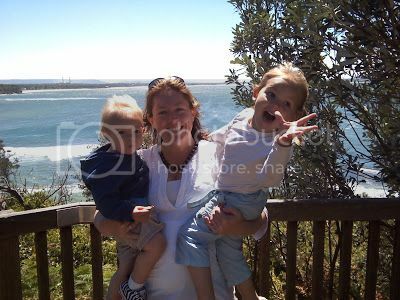 Before being a stay at home mum I was a Human Resources Manager. Or Senior Vice President of People & Culture. Sounds great. It was... sometimes. And sometimes it was telling people to do the right thing when they didn't want to. And that was exhausting. 4. 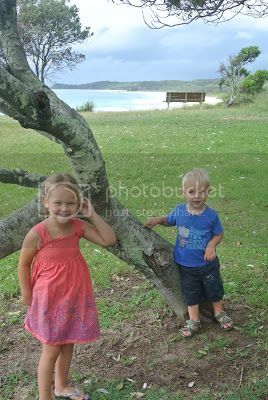 When I was in my twenties I packed up everything and moved to a little place called Alstonville (for those who know New South Wales Australia it's near Byron Bay) for a year. 6. In high school one of my teachers told me that I needed to adjust my expectations and that I wouldn't do very well in the HSC (leaving certificate). So I topped the subject for the school, achieved a mark within the top 10% of the state and told him what he could do with his opinion. 7. My favourite colour is purple, but I don't decorate my home with it or wear it. 8. I prefer op shopping over retail shopping anyday! 9. On our bush fire plan I wanted to include my vintage typewriter on the 'take' list. DK wasn't as keen. 10. My first adult book was The Hobbit by JRR Tolkien. I had no idea this type of book existed and it was love. Along with Lord of the Rings it's my favourite book, the Lord of the Rings Trilogy my favourite movie. If Aragorn ever turns up on my door stop DK is aware that I all bets are off. 11. I use the word 'cool' far more than I should. 1. If you could have dinner with anyone, alive or dead, who would it be? My Dad. Dad passed away in 2009 and I miss him, and I would love him to meet my son Harry. 2. What kind of animal do you resemble most? I have no idea. Emma (4) said 'A funny sheep'. It could have been worse I guess. 3. Do you yell at other drivers from inside your car when traffic is bad? 4. If you could go back in time and listen to someone's advice (that you ignored before), what would that advise be? Anyone who said my high school boyfriend was no good. You have a 70's and 80's tragic right here. 6. If you had a whole day to yourself without any obligations what would you do? 7. If you could learn a new language which one would you choose and why? Teenager - in preparation for the future. A million different people. My friends, family members. My children. 9. What actor or actress would play you in a movie? 10. How do you want people to remember you after they meet you? 11. What is the most important reason that you blog? A combination of sharing and inspiration. The next part of the award is to choose some blogs to pass the award on to. I'm going to share that positive stuff next weekend. Great to learn more about you Catherine, esp. because we have a lot in common......maybe even our high school boyfriend......tehe!!! As I read the line 'my first adult book...' I thought you were going to confess something along the lines of mills and boon!!! I love reading things like this, I find the little things that make up someone's personality the most interesting of all, great people watching. You are doing so well with your regular posting...now if only I could take a leaf out if your book! and i love dame judy dench- she is amazing! we just watched the best exotic marigold hotel and it was awesome!!!!! anyhow, i really enjoyed this peek inside! Fun post. I love learning more about the people behind the blogs. I met my husband online too....although sometimes I feel weird admitting it. There is still a stigma to it, isn't there? Dipped Wooden Necklace - Something Just for Me! Happy New Year and a Vintage Stool Makeover!